Do you have a closet that is chronically cluttered and messy? Check out Rockstar Parenting’s clever closet organization ideas for tips and hacks to organize your closet and kill the clutter! 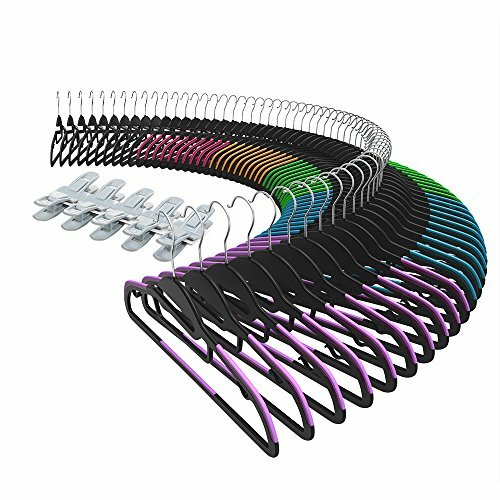 Compared to old-fashioned big and clunky hangers, these sleek and ultra-thin clothes hangers can really maximize your space, particularly for smaller closets. One user even reported being able to hang twice as many as many clothes as before in the same amount of space. The special hooks for ties and scarves are a real bonus! 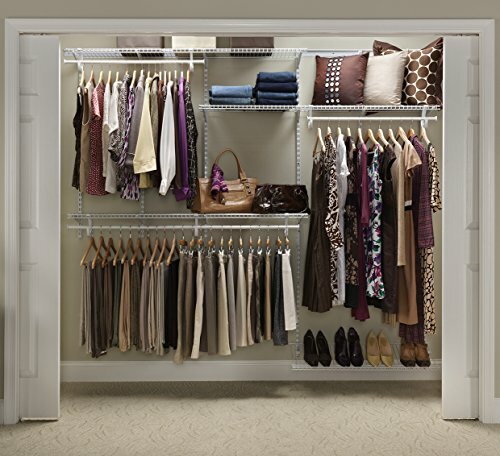 We often think of closets in horizontal terms, but maximizing your space vertically can really make a huge difference. 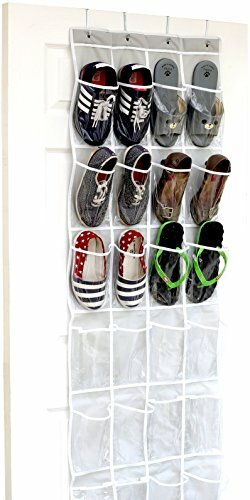 A hanging closet organizer like this is perfect for storing foldable items such as jeans, shorts and sweaters. Even if you don’t have drawers in your closet, this clever drawer divider neatly organizes lingerie, socks, underwear and more. No more frantically digging through a messy drawer in the morning trying to find what you need! This stackable cube organizer is one of the most popular closet organizers on Amazon, and for good reason! The cute little cubes are perfect for storing shoes, sandals, hats and more! Is your closet fairly roomy but lacking shelves or hanging space? Then a closet organizer system like this one may be just the thing you need. With extendable clothing racks, you can adjust this awesome organizer to custom fit your closet, up to a whopping 8 feet wide! Now you know some of the very best closet organization ideas and brilliant hacks to help get your closet into the best shape ever! Bothered by clutter and disorganization in your home? Let decluttering expert Mimi Tanner show you how to get your home in order almost immediately! Click here to begin decluttering today!